A few weeks ago, at the VMworld Europe 2013 conference in Barcelona, VMware CEO Pat Gelsinger was keen to move the focus around virtualisation beyond the compute level – specifically server virtualisation – to include areas such as storage, the network and management, describing them as the four elements representing the software-defined datacentre. He urged partners to virtualise “every piece” of them. “We are out to virtualise the datacentre,” Gelsinger said in a keynote that also gave a decent amount of airtime to desktop virtualisation which, traditionally, VMware has been accused of treating as something of an afterthought. The company reinforced its desktop virtualisation credentials by announcing the acquisition of Desktone, a pioneer in the desktop as a service (DaaS) space. Enterprise vice-president and general manager of VMware end user compute Sanjay Poonen commented that “VMware’s network of more than 11,000 VMware service provider partners enables VMware to accelerate the delivery of DaaS much faster than many of our competitors”. At the same event, in an interview with Irish website TechCentral, VMware EMEA general business director John Churchhouse said software-defined storage (SDS) and software-defined networks (SDN) represented an “absolutely huge” opportunity for the channel to extend virtualisation from the compute layer to the storage and network layers. But he stressed that there was still significant opportunity at the compute level in terms of workloads that could be virtualised. According to Churchhouse, around 68% of all workloads are virtualised, but the prospect is that the figure will rise to 86% by 2016. To put that it in perspective, it means adding an extra quarter to all workloads that have been virtualised to date. That is also the view of Ryan O’Reilly, infrastructure director at Outsourcery, who points to the growth in the virtualised server market in recent years, with infrastructure as a service (IaaS) and platform as a service (PaaS) products gaining momentum while, at the same time, virtual desktop demand has been fairly low. Technologies such as network virtualisation and storage are helping companies like Outsourcery to develop flexible and robust automated systems that are easier to manage and maintain. Cloud service providers such as Outsourcery can benefit from virtualised networking technologies, but O’Reilly admits: “We are not seeing demand for these solutions or virtual desktops in abundance from our partners at this time”. Perhaps it depends who you talk to. Poonen described DaaS as a “game changer” at VMworld Europe 2013 and argued VMware was working to overcome the biggest barrier to desktop virtualisation – cost – by reducing the total cost of ownership of a virtual desktop to the equivalent cost of a laptop. Martin Callinan, country manager for Express Metrix, believes the trend towards hotdesking and mobility is helping to drive greater adoption of virtualisation and, in particular, virtual desktop infrastructure. A point echoed by Mark Pilgrim, EMEA vice-president at NComputing, who cites recent IDC statistics showing an increase of 7.4% in shipments of thin client and terminal client devices as proof that “momentum in the desktop virtualisation market is growing”. Whereas he maintains that server and storage virtualisation are the domain of enterprise customers, desktop virtualisation has a wider catchment area because it is applicable from the major enterprise all the way through to the SME. Thin client devices are suited to enterprises, but desktop virtualisation solutions also “offer a modern and cost-effective solution to the SME, ensuring the organisation doesn’t have to compromise on performance, manageability and security, while at the same time allowing it to remain a competitive player”. Callinan says the real opportunities for the channel come from the traditional role of having a full understanding of their customers’ existing infrastructure and usage behaviour. “This will allow them to add value by making recommendations and moving into a trusted advisor role with customers,” he says. By helping customers to review their current IT infrastructure, partners can “help them to create a virtualisation strategy, taking them through the process to understand how and if virtualisation will work in their environment”. If they have this visibility, resellers can help customers avoid creating “toxic assets”. “For example, the licensing costs of running an application on physical servers could be doubled when that same application is put on virtual servers,” says Callinan. They can also help customers identify areas of virtual sprawl and advise on multi-hypervisor environments explaining which hypervisors would be best for specific workloads. Charlie Williams, marketing director at 2X Software, suggests it is a question of definition. If virtual desktop means delivering the desktop or applications any time, any where and on any device, then the market is definitely moving in that direction and has been for some time. 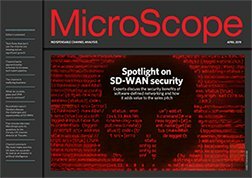 “The influx of mobile products which can receive/accept/connect to the host servers, especially through cloud connectivity, means the more contemporary companies are allowing their users combined with technologies using RDP/ICA and SSL security – to make use of work-related software technologies at all times,” says Williams. Mentioning the desktop invariably brings up the subject of Microsoft. 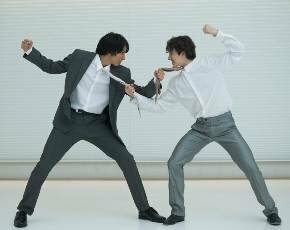 While virtualisation has, for many years, been a very strong space for VMware, Microsoft is starting to make some inroads with its Hyper-V product, although there are disputes over how much of a threat it poses to its rival. Ian Wells, regional director for Northern Europe at Veeam Software, is fairly certain that Microsoft is having an effect on the virtualisation market. “We are definitely seeing more and more businesses move to a mixed hypervisor environment, running Hyper-V alongside VMware to meet their specific needs,” he says. But he cautions that there is never likely to be an either/or situation regarding VMware and Microsoft. Most organisations will not go 100% one way or the other, so this presents an opportunity for the channel as customers will need to be able to manage both environments easily and effectively. Partners could also upsell Microsoft customers and existing users of VMware additional tools to ensure their entire environment is as well-managed, well-protected and capable as possible, he says. The channel can provide the products and also “act as an advisor on how businesses can gain a consolidated overview of their entire virtualised estate”. 2X Software’s Williams is not so sure about the effect Microsoft will have on the virtualisation landscape. “This is going to be a tough and touchy one. Windows Server 2012 is a product that again is a leap forward for Microsoft, but its lack of focus on mobile products and devices has left RDP [remote desktop protocol] short and late to the party,” he argues. Why is this the case? He wonders whether Microsoft thought mobile devices and bring your own device (BYOD) were not a major enterprise priority. “Or maybe it just didn’t have the time to develop RDP and free clients to reach other devices,” he says. The other question is why Microsoft did not believe people would want the same features they had at their desk or home on other environments. “If we are moving toward cloud and companies are offering services that allow to you utilise cloud,” says Williams, “then why would Microsoft not pay attention to how vendors can use a current Microsoft technology to create these environments? RDP has its limitations with mobile products, he adds and it is debatable whether Microsoft is interested in “doing the legwork necessary to support a BYOD environment”. Nigel Stephenson, senior director of solutions marketing at Juniper Networks, says it is undeniable that virtualisation has made large inroads into a number of areas over recent years, including applications, compute and storage, but he wants to steer the discussion into another area. This is what he describes as “a huge interest in virtualising the underlying network” being driven by the need to reduce overall deployment times and increase flexibility. “Whereas applications can be spun up in minutes, network change requests can take hours or days,” he reveals. It is a point that was made by VMware CTO of networking Martin Casado at VMworld Europe 2013, when he talked about making networks “worthy of the cloud era” by changing their model and flexibility. Casado revealed that virtual ports exceeded physical ports globally last year and a survey of VMware customers found that 77% were planning for virtual networking over the next year. In his keynote, VMware’s Gelsinger also described virtualising the network for speed and efficiency as “the most important topic we’re going to discuss today”. What are the implications for channel partners in the networking space? Stephenson believes virtualisation provides additional opportunities for channel partners and vendors such as Juniper by broadening the points of communication between vendors, partners and customers. Traditional networking vendors will have the opportunity to move ‘up’ towards application-led projects within the customer and add greater value to the network deployment. At the same time, application-centric partners can reach further ‘down’ into the networking layer “to deliver a better and broader operational model” to the application teams within their customers, he says. Looking to the future, Veeam Software’s Wells says virtualisation is still surprising us with what it can do over and above server virtualisation to utilise computing resources more effectively. As well as areas such as desktop, network and storage virtualisation, there is still much more that can be done in the server. For example, data forensics and data migration are two areas where virtualisation is already coming into its own. “Whether plumbing the potential of server virtualisation or looking beyond, the channel needs to ensure it is providing a full service to customers, as simply offering a virtual environment is the bare minimum expected,” he says. Cloud and mobility are seen as two of the big drivers propelling virtualisation beyond the compute layer into the domains of storage, the network and the datacentre. 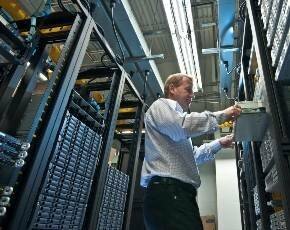 In many ways, they have helped to make the case for virtualisation beyond the server. Nevertheless, there is still plenty of mileage left at the server level. At VMworld Europe 2013, Gelsinger was adamant that no other technology had resulted in the efficiency and cost savings of virtualisation. He added there were enormous networking efficiencies still to be harvested and with the move to a software-defined world he is “confident the efficiencies across every layer are going to be extraordinary”. Given his message was essentially a call to customers and partners to prepare to overturn the IT status quo with virtualisation again, it was perhaps ironic that Gelsinger’s keynote should end with words that (consciously or unconsciously) echoed the refrain of Again and Again, one of the many hits from the indefatigable British pub rockers. Again, again, again, again, again,again, again, again. Why don’t you do it, why don’t you do it again?